Your mattress is too firm? Well, this article is going to show you 4 ways to make your mattress softer. As a matter of fact, a good night sleep is one of the best ingredients for good health. Research has found that people who sleep comfortably rarely have heart problems, make smart financial decisions and maintain good posture. Your mattress needs to be comfortable enough for a decent night sleep. But what if your mattress is too firm? Replacing your mattress with a softer one can be expensive. Luckily, there are few options you can use to hack it and make it feel better. However, these options depend on how soft you want it to get. The 4 alternatives explained below will help you. 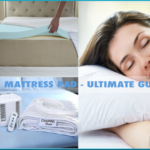 How to Choose the Best SOFT Mattress Topper? Did you know that your bed can affect the feeling of your mattress? 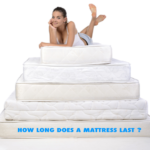 Well, its condition greatly affects how firm or soft your mattress would feel. Solid foundations like wood planks, firm platform or the floor provide less give to your mattress thus making it feel considerably firm. So if your foundation is very firm you may need to change it to provide some give; this could make the mattress feel much better thus improving the quality of your sleep. Equally important, tight sheets keep your body stretched tight which creates the firm sensation. Therefore, you need to ensure your bedsheets are loose enough. Mattress protectors are great alternatives as they will allow your body to sink. In addition, they contour well with your body making the mattress feel much better. Does your brand new mattresses feel too firm to sleep on? If yes, you may want to break it in a bit for greater comfort and a luxurious night. Breaking in the mattress involves walking across the surface of your mattress several minutes each day to help the materials soften. Similarly, you can get the kids involved in this, however, avoid jumping on the bed not to damage its frame and foundation. Likewise, you may need to continue sleeping on it for some time because it may be that your body needs some time to adjust to the new sleeping surface. With time your body will get used to the sleeping surface, and the mattress will break in automatically and start feeling better. You can also rotate your mattress regularly say after every 2 days. This help distributes the body weight to the high-density areas of the mattress, and this promotes even wear. After a few weeks of rotation, the mattress will get comfortable. The type of material making your mattress could be responsible for the temporal hardness. For example, most memory foam mattress are sensitive to temperature. Therefore they feel a bit firmer in cooler temperatures but tend to soften in warmer temperatures. Although cool rooms provide the best sleeping environments, adjusting the temperature of your room can work miracles for your firm mattress. You can also use a gently heated pad on the mattress, and it will help soften the surface a bit. 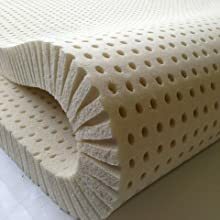 Alternatively, try a mattress topper, this is so far the best solution to adjust firmness of a mattress. Pressure relief; having a mattress topper is going to reduce the excessive pressure your mattress can exert to the heavier parts of your body such as the shoulders and hips. Many mattresses cannot guarantee comfortable night sleep, and the excessive pressure on some body parts can be unhealthy for you. Additional comfort; a soft mattress topper compresses easily under the bodyweight than the mattress to provide extra comfort and support. also, the extra foam you are adding on your mattress offers extra comfort. Lengthens the life of the mattress; a topper eliminates the subject matter of sleeping directly on the mattress, this protects your mattress from body perspiration, dead skin, bacteria, and indentations. Since the topper will prevent these elements from getting down to your mattress, your mattress will last a little longer. 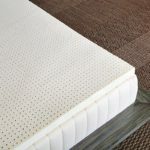 Ultimate choice of comfort level; toppers come in different thickness and density just like mattresses this gives you the ultimate choice of your ideal level of support. Economical; high-quality mattresses offer the most comfortable sleeping surface, but hey can be too expensive to buy. 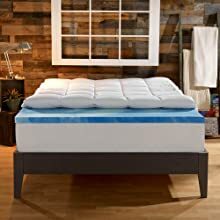 Mattress toppers also cost money but are much cheaper than the highest quality mattresses, so purchasing a mattress topper is a lot cheaper than replacing the entire mattress. It is a travel companion; toppers are incredibly lightweight and easy to move around. They are convenient, and you can take them with you on your road trips. You can easily spread it on the bed if the mattress feels too firm to create a comfortable sleeping surface. Temperature control; a firm mattress may overheat while you sleep on it and this can disrupt your sleep. However using a good topper can help regulate the temperature between your body and the mattress for cooler night rest. A fitted sheet will fit perfectly; because of the different thickness of the mattress, fitted sheets are not made to fit the mattress perfectly sometimes it can be somewhat big for your bed. But because the topper will add the height of the mattress, your fitted sheet will fit perfectly over your bed. Can reduce allergies; provided you are going to invest in a hypoallergenic mattress topper, struggling with allergies often caused by dust and materials inside your mattress is going to be a thing of the past. Keeps your mattress relatively new; with a topper, you will be sleeping on the topper itself, not on the mattress. 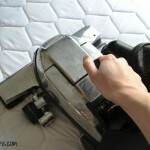 This will ensure your mattress remain relatively new a lot longer. Versatile; the various types of mattress toppers means you can get a perfect topper for any type of mattress that you may buy. In addition, toppers are easy to clean and maintain. 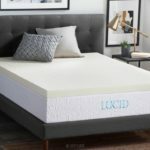 Investing in a mattress topper is a smart choice but believe me or not confusion will start the time you try looking for a perfect mattress topper to soften your mattress. Today’s market is flooded with hundreds of different but similar mattress toppers. Distinguishing an orange from a lemon is the hard thing because each product claims to be the best, but in reality, they are way much below par for the job. Prices also vary greatly confusing you further. 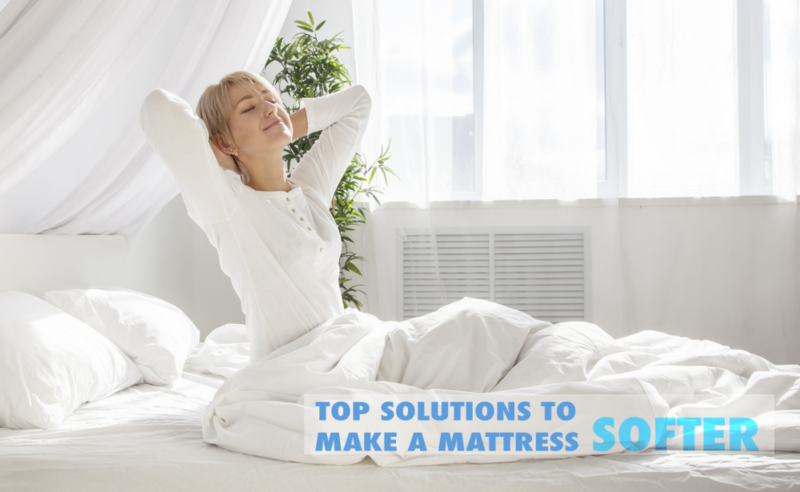 Although we have different needs, there are a number of things to watch out when looking to find the best mattress topper to soften your mattress. The only secret lies in buying a soft mattress topper. Don’t be fooled that there is appropriate thickness for a mattress topper it all depends on what level of comfort you want. 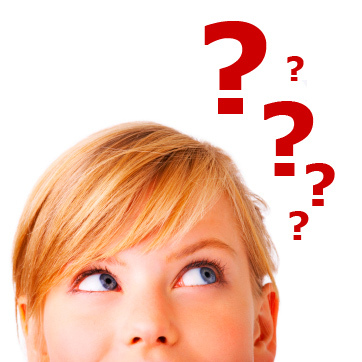 What matters most in a mattress topper is the level of firmness, so you need to choose a topper with a soft firmness. To clear the guess work, you can read lots of customer reviews online about the product; this will give you a better understanding of the product including its pros and cons so that you can make an informed judgment. 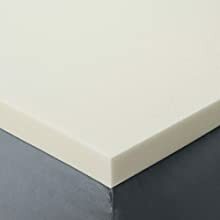 All things considered, latex and memory foam toppers are the most popular solutions. They are good choices for softening a firm mattress. However, latex is the best. Comfort will definitely know you after adding this topper on your mattress. The unique design of this two-layer mattress topper provides a softer and extra plusher surface for a heavenly sleep. You will hardly hear your alarm. That’s not all the 2” of cooling gel memory foam strengthens the therapeutic function of this topper. The topper cover is easy to remove and also washer and dryer safe. As far as the materials are concerned, this is a quality topper and worth every penny. Did we mention that its warranty last for a decade? Its 100% purity makes it a perfect remedy for a sleepless night and the best mattress topper for allergy sufferers. 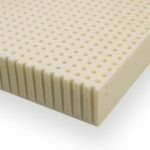 The 100% natural latex foam provides a balanced support and comfort no matter your sleeping position so you can sleep instantly. It is the most eco-friendly topper out there. Another great feature is that this topper provides superior elasticity and resiliency without sinking. Pure Green is another durable option. This topper provides an instant way to revitalize the comfort of your existing. It contours well with your body thanks to the soft Visco elastic foam and gel swirl which increases comfort and support. On top of this, this topper is Certi-PUR US certified, so it precisely meets the extraordinary quality standards for the best mattress topper. It is a great topper for those suffering back pains as it evenly distributes the overall weight of your body, this, in turn, helps eliminate possible back pain. In one word, this topper is just WOW! Not to mention the 3-year warranty. This mattress topper is another way of saying goodbye to a sleepless night and hi to better sleep. This topper is specifically designed to provide extra comfort no matter the size of the mattress. Additionally, the Visco Elastic comfort ensures no tossing and turning; you will sleep comfortably like a baby. Interestingly, this topper is Certi-PUR-US certified with no heavy metals and ozone depleters. Another cool feature that will amaze you is the CoolFlow technology that provides great ventilation. You will never want to get out of bed. You will, therefore, keep cooler and comfortable all the night. This latex blended topper provides superior support and comfort without sagging. The bamboo cover is soft and instantaneously conform to the shape of your body for a magnificent feel all night long. On top of this, this topper is 4 times more breathable than memory foam toppers, so it keeps you cool all night long. It has proved to provide up to 33% more pressure relief than any other topper. It is, therefore, one of the best toppers in relieving pressure points that interrupt a good night sleep. When we went searching for the top mattress toppers on the market, we did research on the top 10 we found. We compared them for comfort, the level of support, durability, allergy resistance, breathability, quality of material, and customer’s reviews from people who have purchased the toppers and are still using them. Luckily the five top choices featured here topped the list in all categories. So any one of these toppers may be just what you are looking for. We are hopeful that these tricks will help you improve the comfort of your mattress without spending a lot of money. However, if your bed has broken springs, or it is deeply sagging, then these tweaks alone may not be enough. So make sure your bed is always in the right condition. 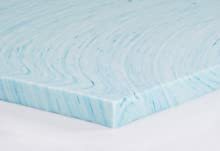 Just bought a memory foam bed 15″ with 1″gel foam top, 2″ memory foam, 3″ polyurethane foam, and base 9″ base foam. I weigh 275 and bed is pretty firm. We sleep on a Glideaway adjustable base. We haven’t walked on mattress as you stated, might try that to soften up some, so we are trying to decide to go with a 2″ talalay natural topper, medium 23-27 ILD. We just want to have more pressure relief, and I think a 2″ may do well vs a 3″. My wife weighs 130, and she pretty much sleeps ok, but she said could be softer. We would like your input as the best route we can take to resolve the firmness. Thanks in advance. I used to walk upright on my knees to loosen my Temperpedic up. Took about 2 weeks. Do you know of a mattress designer I can get help from? I have bought 13 mattresses…all types: all natural, latex, memory foam, inner spring. Prices ranged from $540 to over $4,000 per mattress. I still average 2-3 hours of sleep per night. The problem is: what I sleep on gets so warm where my torso presses against it that I wake up. The rest of the mattress and my skin are cool. The sharp contrast in body heat is what is waking me. All mattresses are design to handle heat passively. This does not work. Heat still builds up directly beneath me. I need a way to prevent body heat from building up beneath me where my body presses against the mattress. I am so tired & frustrated that I am trying to design my own cool mattress topper, which has air blowing thru it. This will prevent body heat from building up directly beneath me. I have a design drawn using CAD. I need advice on choosing & obtaining materials and hopefully help making it. Does anyone know of a mattress designer I can get help from? May sound crazy but have you tried an air mattress? They have some now that have continuous air flow to keep them blown up. The problem I’ve had with them has been deflating over night and that cold feeling that you get if you’re not adequately insulated from it. My daughter slept on one for a while by choice that we covered with a couple of folded comforters. It really was very comfortable. Just a suggestion. I concur. I’ve had 2 in the past. However my kitten decided to sharpen it’s claws and ruined a good thing. They really have come a long way and even have good edge support. They are cool, temperature-wise, to sleep on. I thoroughly enjoyed mine.